Sometimes one has to adapt to make the best of a bad situation. Recently, during a shoot with Scavengers in Milbrook Ontario, in which I dressed up as Gandalf The Grey, I had an idea. 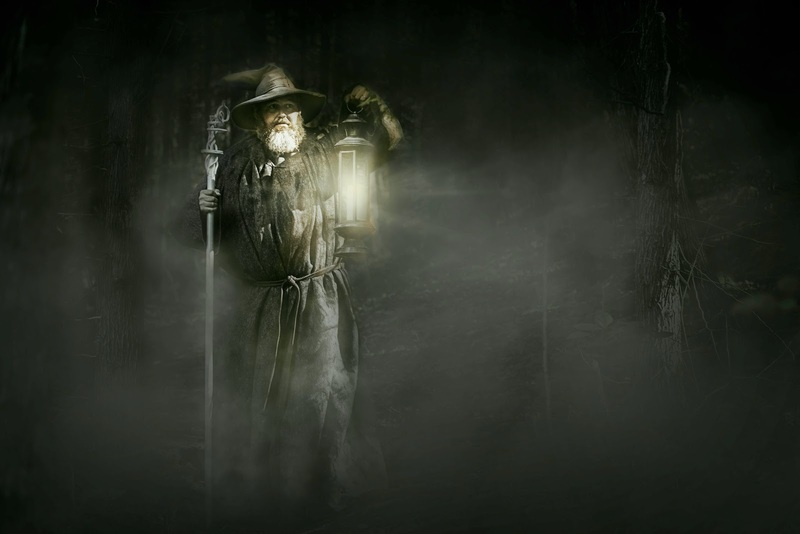 That idea was to have Gandalf holding a lantern, walking thru a dark, foggy night. The original plan was to use smoke bombs to create a misty effect, however a few days before we headed off on the shoot disaster (for my idea) struck. Due to dry conditions a fire ban was put in effect buy the local fire chief. Since smoke bombs used fire, we couldn't use them. Not a bad shot. It has some problems, if I am honest. For one there is no mist. 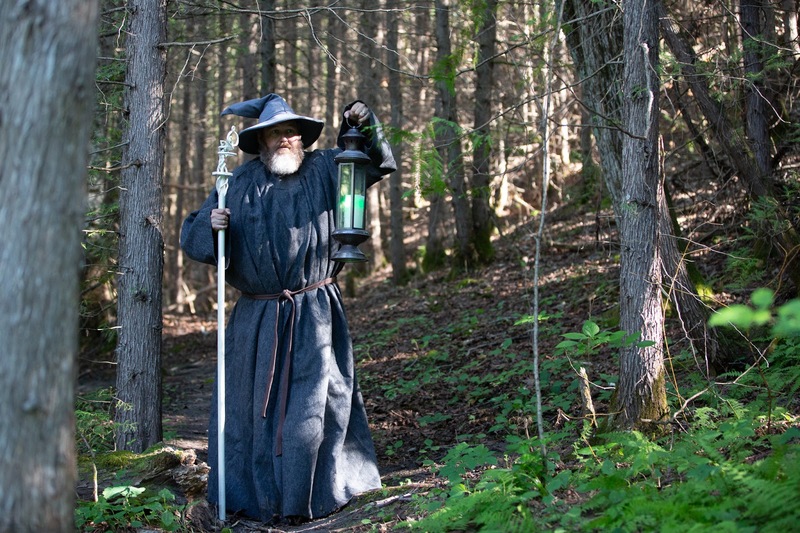 For another it is shot in daylight, and the concept is a night shot. However it has good bones, so I begged, borrowed, and stole the image from Paul, and ran it thru Photoshop. Not to bad, if I do say so myself. It just goes to show one shouldn't let bad light keep them from reaching their vision. When one is armed with Photoshop, the world is your canvas.